The Executive Board of the Vossloh Group consists of three members. It determines the strategic direction of the company, makes portfolio decisions and takes decisions on matters concerning Group organisation and financing. In addition, the members of the Executive Board operate in individual business areas. The Executive Board strives for a sustainable increase in company value. Vossloh AG’s Supervisory Board has six members. 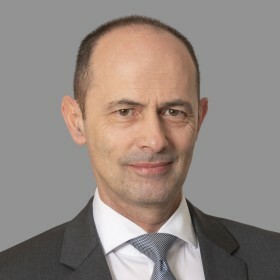 Chairman of the Supervisory Board is Ulrich M. Harnacke. The Supervisory Board oversees and advises the Executive Board’s management and conduct of business. Certain material transactions (specified in the Executive Board rules of procedure) are subject to prior Supervisory Board approval. The Supervisory Board periodically discusses the business trend with the Executive Board, as well as the corporate plan and strategy and their implementation. It approves the annual budget and financial statements of Vossloh AG and the Vossloh Group with due consideration of the statutory auditor’s audit reports. The Supervisory Board is also responsible for the appointment and dismissal of Executive Board members.